4 Bedroom Semi Detached For Sale in Kingston upon Thames for Asking Price £1,050,000. 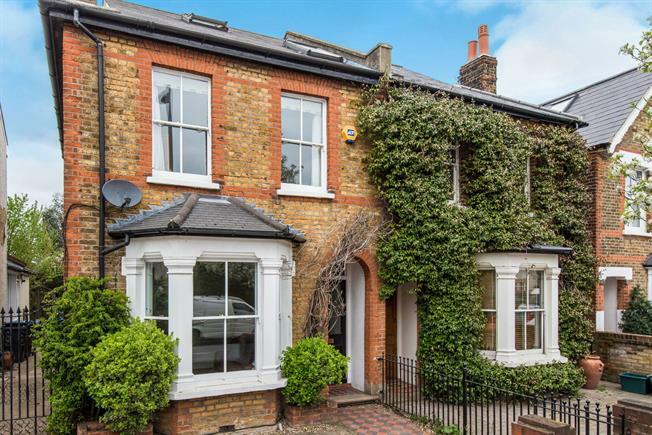 We are pleased to present this stunning period family home in the heart of North Kingston. With off street parking to the front which is ideal for busy families, the accommodation is set over three floors and comprises an inviting entrance hall, front reception with feature fireplace and ceiling rose, a study, a contemporary eat-in kitchen with integrated appliances and skylights for added light, leading to a rear reception and private landscaped rear garden. To the first floor are three double bedrooms and a modern family bathroom, the loft has been converted to create a double bedroom with an additional shower room. The property further benefits a cellar ideal for extra storage.